If you thought in-game advertising had died, Asus’ GPU Tweak II software is resurrecting it like Jesus. Or John Snow. Or the mop-headed lady off Russian Doll. Whichever cultural touchstone is more relevant to you and your current lifestyle. Anyways, the overclocking software drops a wee Asus GPU advert on any game you choose to play with the app running in the background. It’s maybe a bit gratuitous and utterly unnecessary, but it’s also easy to disable, and only actually pops up while you’re rocking the on-screen display overlaying GPU and frame rate information across whatever full-screen app you’re running. Realistically you’re not going to be running the GPU Tweak II OSD during general gaming, only when you’re actually, y’know, tweaking your GPU, so it’s not really that nefarious. 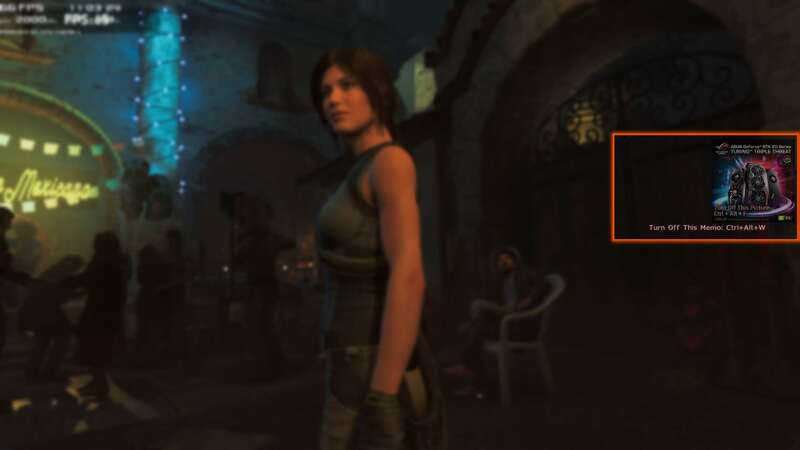 But given the fact that you’re probably already running an Asus graphics card if you’re using its own overclocking software it seems a little odd having an add for more Asus graphics cards in-game. Or on-game, depending on your point of view regarding overlays. Though maybe if you’re overclocking you’re chasing better performance, and a shiny new GPU is generally a pretty good guarantee of that. There’s also a ‘Memo’ that you can turn off too, but all we had on our screens was the consumer advice and not the memo itself. 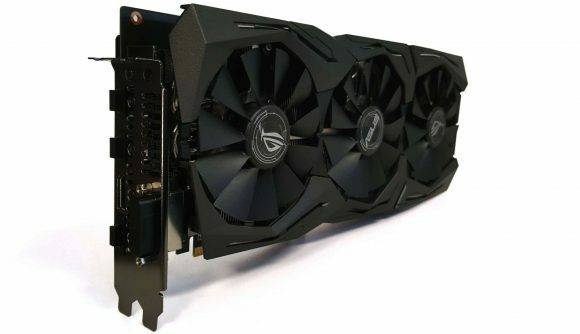 We’re not entirely sure when this was added into the GPU Tweak II software – Asus might hate us for this: we’re MSI Afterburner people here at PCGamesN – but the first we heard about it was when Redditor PurpleSquash640’s ‘WTF?’ picture was published by Guru3D. As I say, it’s not game-breaking as it only appears when you’re messing around monitoring your graphics card, but it’s the first of these kinds of in-game ads I can remember seeing for some time.